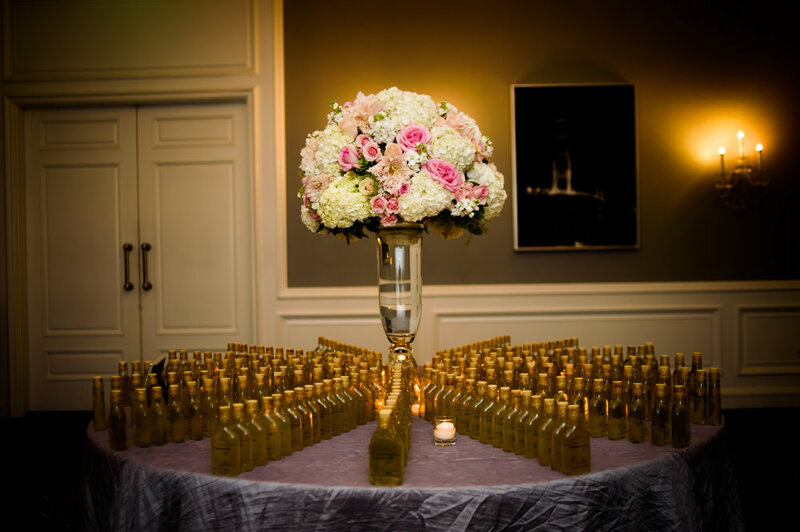 There couldn't be a more magnificent place to say I do than The Ritz Carlton in San Francisco, a sophisticated urban retreat, with a romantic courtyard ceremony site and stylish indoor ballroom for the reception, there's no doubt that it's a perfect place for a city wedding. 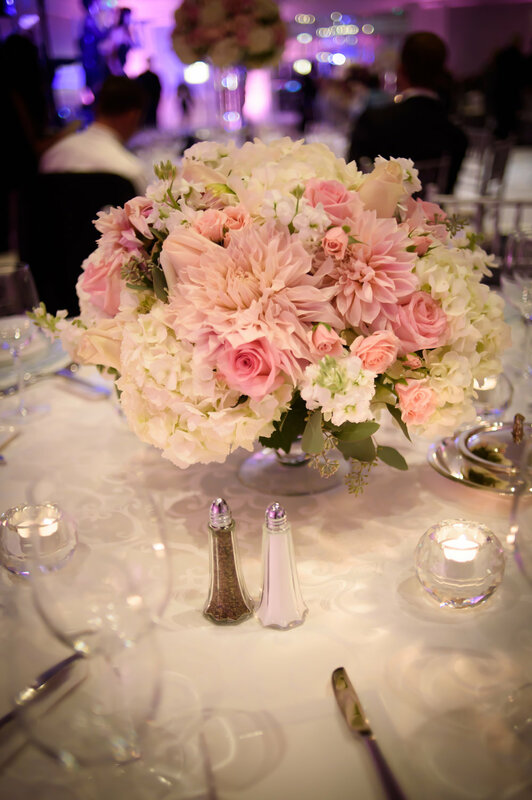 Danielle and Micheal's wedding was classic elegance with soft romantic colors of lilac, blush pink and white. 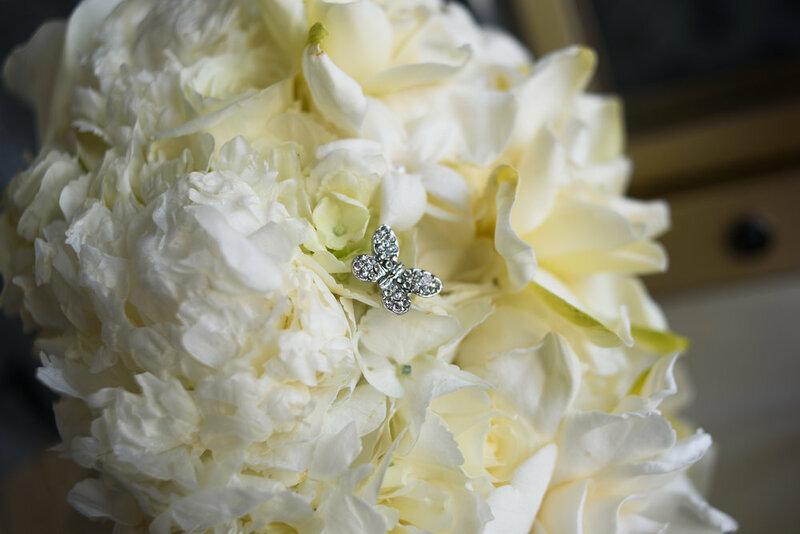 Danielle's timeless bouquet with roses, peonies, stephanotis and gardenias was simply perfect with her crystal beaded gown. 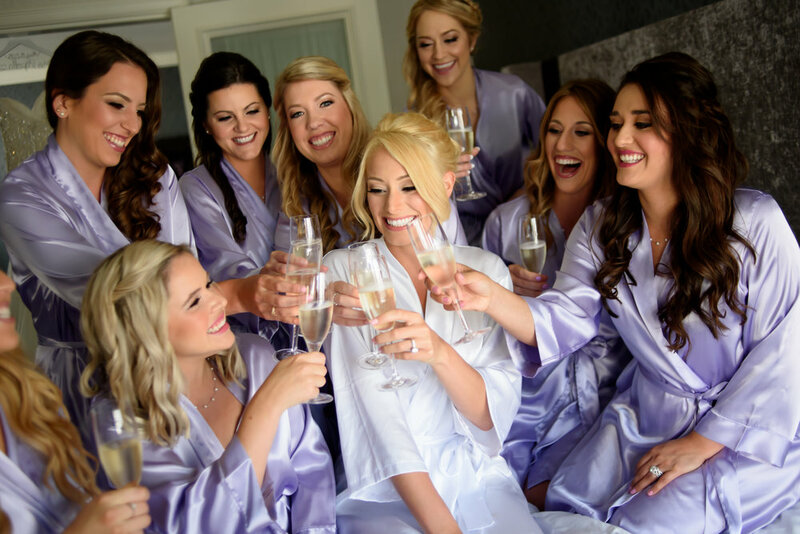 Her lovely bridesmaids wore soft lilac dresses and carried rounded bouquets of white with accents of blush pink garden roses. Micheal and his groomsmen kept it traditional with black tuxedos and wore ivory tea rose boutonnieres. 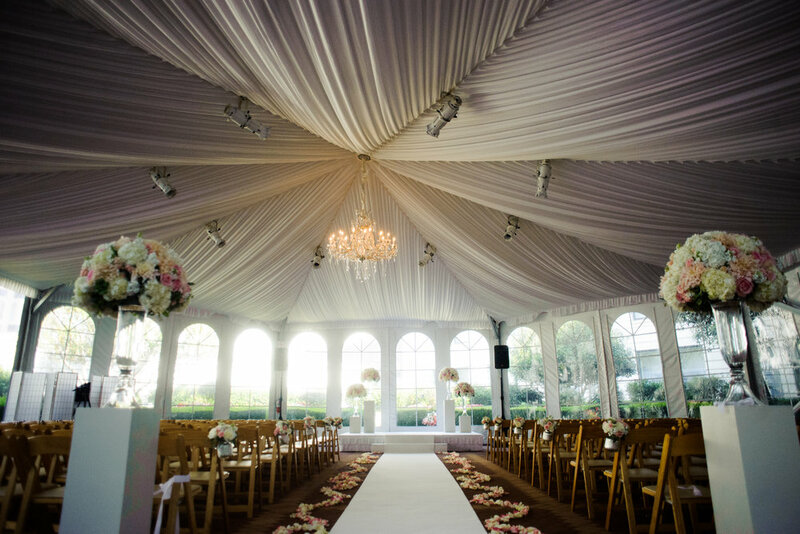 The ceremony was held in the tented courtyard under the crystal chandelier. 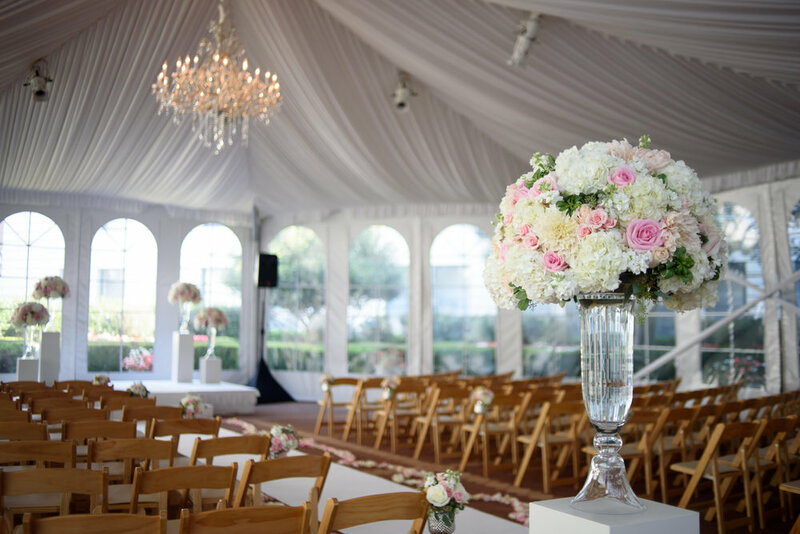 the ceremony space was elegantly decorated with ivory pedestals in different heights holding large hourglass vases with rounded floral arrangements in whites, ivory and blush pinks. 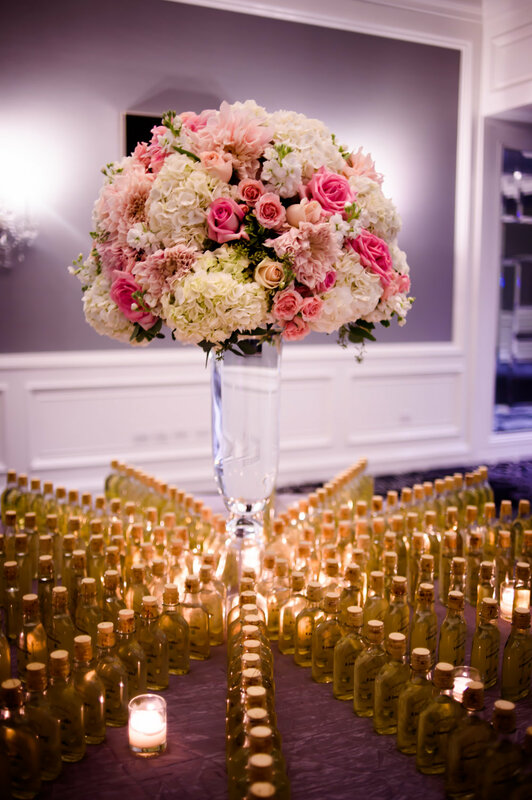 The aisle was adorned with a scroll pattern of white and blush rose petals along both sides with hanging jars floral arrangements on every other chair. 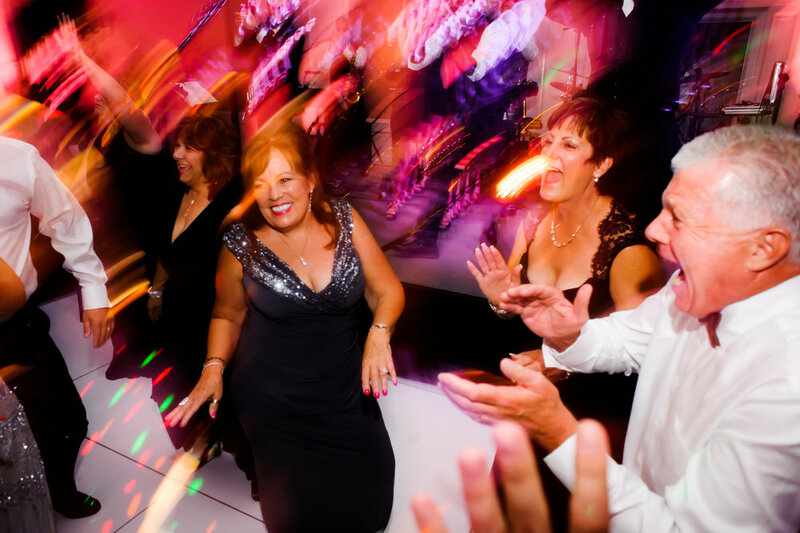 The reception held in the ballroom was truly a fun party, yet elegant and sophisticated. 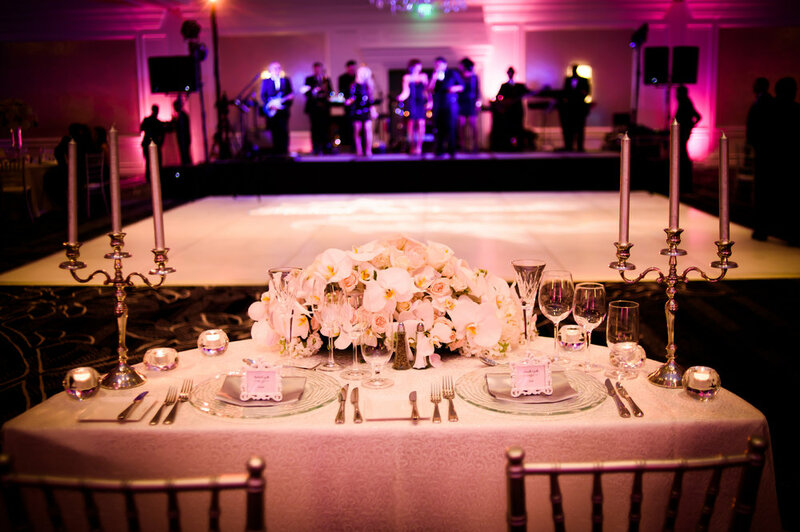 Both low footed dish and tall hourglass arrangements around the room, with whites and blush pinks. The sweetheart table was overflowing with orchids spilling over the front, silver candelabras and tea lights. 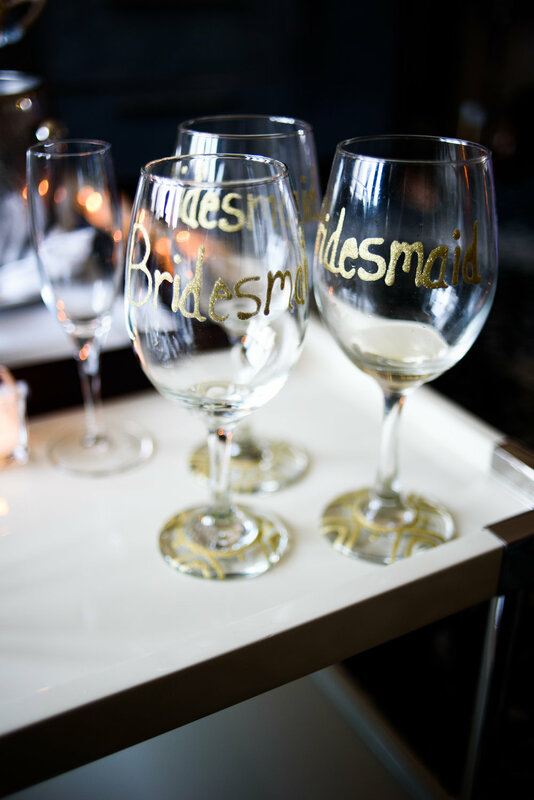 All the photos were elegantly captured by Bellalu Photography.